While New Jersey officially launched online gambling on November 26, Golden Nugget was delayed due to some issues which were found by the regulators during the test period. This mean that the casino operator would miss out on the first few weeks of regulated online gambling in the Garden State and not be amongst the six casinos and their 13 gambling sites which did very well throughout the soft launch. 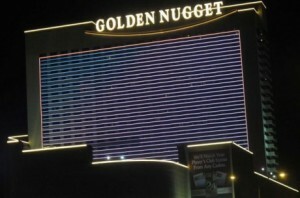 The New Jersey Division of Gaming Enforcement finally gave Golden Nugget the green light on Friday and allowed the GoldenNuggetCasino.com online casino to open its doors to the entire state at 12:01 a.m. on Saturday. This means that the glitches have been resolved and that players will now be able to enjoy the first-class experience which Golden Nugget promises to bring to the new iGaming industry. There will be some catching up to do as Party and Borgata have already established themselves as the leaders in the market for online poker and also for casino games. The much larger player pool than in Nevada and Delaware combined is sure to give New Jersey sites the traffic they need to get going and the nice variety of options right from the start has made other big states look into online gambling. According to Golden Nugget General Manager Tom Pohlman, this is the time to launch the site and the decision to hold off in order to make sure that everything runs smoothly was a great one. Given the highly competitive market, launching with a less than perfect product can damage the image of the company more than delaying the launch for a few weeks would. Pohlman claimed that he is “very satisfied” with the product, which offers video poker, table games and 77 slot titles. The games are provided by Bally Technologies, IGT, Amaya Gaming and SHFL, for both PC and MAC, with mobile apps for Android and iOS coming in January. Based on sheer volume, the Golden Nugget claims that it has the biggest online casino in New Jersey and plans on launching its online poker room in January as well. Golden Nugget has also adopted a unique solution for one of the major issues that still remain for online gambling in the United States. Several credit card issuers are not yet on board with the industry and have expressed concerns that the federal government can once again come to spoil the party. Aside from the standard options now available in New Jersey – VISA, MasterCard, check, cash-at-the-cage and ACH – Nugget online casino allows deposits by prepaid card on the Discover network, making it the first to include this option. The transactions are done instantly and players can easily transfer money to and from their gaming accounts. A card can be ordered from the casino site and should be delivered in just a couple of days. Tens of thousands of accounts have already been created for online gaming in New Jersey and with Golden Nugget now joining the action with a variety of games and a new banking method, more players will certainly take part in the fun. The online gambling revenue figures will be posted by casinos starting from January 14.